Our technical articles cover diversified filtration subjects such as the pros and cons of various filtration and separation techniques and equipment. At Polytech Filtration Systems we have an extensive background in filtration engineering and a strong commitment to providing a technically sound solution for each filtration application. 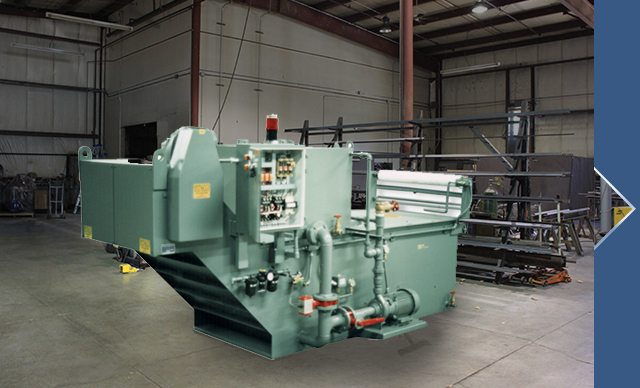 With decades of experience in machine tool coolant filtration, we are familiar with every major filtration and separation technique and offer those that provide the best value and performance over time. The breadth of our product offering reflects the many approaches we take to coolant filtration. Since there is no ideal filter or separator, we give our customers straight talk about the strengths and weaknesses of various filtration offerings for their specific application to help them make an informed decision. We build equipment that reflects our understanding of the rigors of its intended service. That the vast majority of our new machine sales come from existing customers demonstrates proven performance over time. We understand that today's manufacturing environment requires rigorous quality control. The last thing you need is filtration equipment that introduces additional variables into your manufacturing process, therefore, our primary objective is to provide consistent, reliable and economical filter system performance. We view filtration as an integral part of the manufacturing process with due consideration of such things as pump station design, process cooling requirements, coolant chemistry, performance monitors and alarms, machine tool control system integration and material handling and disposal issues. "We purchased a SLE 24 Vacuum Filter from your company. In the three years since this purchase we have been very pleased with your product’s performance. The only repairs made have been to replace normal wear items. In this particular SKF facility, we produce Hub Bearing Units for GM, Chrysler and Ford. Downtime is critical and your unit has proven to be reliable. This unit’s performance has surpassed our expectations and we would recommend the purchase of one of these units to anyone."